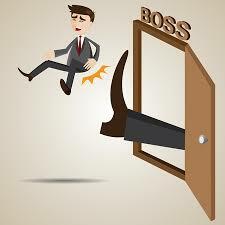 When an employee intends to quit, he or she usually begins the resignation process by submitting a letter of resignation to his or her manager. However, what if the employee didn’t intend to quit but submitted a resignation letter anyway? What if an employee intended to quit, but then changed his or her mind? Forced Resignation: Is This Allowed? In Chan v. Dencan Restaurants Inc., 2011 BCSC 1439, Mr. Chan, a 15-year employee at Denny’s Restaurant, was told to resign otherwise he would be fired. Mr. Chan was afraid that a termination on his record would prevent him from securing employment in the future so he quit. In his resignation letter, Mr. Chan stated that he was leaving in order to take care of his wife, who was on long term disability leave from her employment. However, in court, it was determined that this was not actually the case. Mr. Chan cited this as the reason he was leaving in order to save face and to avoid being fired. … A resignation is the decision to terminate the relationship or, equally, a fact or circumstance which unequivocally reflects that decision. A letter of resignation is simply evidence — usually cogent evidence — of the employee’s decision to end the relationship. But it is no more than that; a letter of resignation is not, in and of itself, the employee’s termination of the relationship. It seems to me that, in circumstances such as the present, the question to be asked is — “who terminated the employment relationship?” Did the employer end the relationship, or did the employee, freely and voluntarily, choose to terminate his or her employment? Justice Smith found that Mr. Chan did not want to quit and therefore had been constructively dismissed and he was entitled to notice of dismissal. I Resigned, Can I Change My Mind? In Movileanu v. Valcom Manufacturing Group Inc.  O.J. No. 4414, an employee was allowed to retract his resignation. Mr. Movileanu was a 14-year employee, and had recently been offered the position of Product Manager. On the first day of his new role, Mr. Movileanu was required to lay off three employees. Following this event, Mr. Movileanu expressed his desire to stop working to the Director of Operations by stating that he was no longer willing to work and unable to handle the job’s requirements. Mr. Movileanu wasn’t aware that by expressing his desire to quit to his employer would result in his ultimate resignation. He was provided with a resignation letter by the end of the day. Ultimately, although Mr. Movileanu did resign, since his employers had not incurred any expense or taken any actions following the resignation, he was able to retract his resignation. This case highlights the fact that there can be flexibility when it comes to resignations. If you are intending to quit your position and are unsure of what to write in your resignation letter, please refer to our previous blog post on Resignation Letters. It is best to talk to a lawyer specializing in Employment Law if you find yourself being forced to quit or submit a resignation letter when you don’t want to. Please contact Monkhouse Law today at (416) 907-9249.